Elders in the church are generally those who are valued for their wisdom. They often hold a position of responsibility in a Christian group and, in some Christian churches, are actually ordained. Some even fill in for the pastor in preaching and pastoral functions from time to time. These are certainly valid descriptions of elders in the church. They are people we look up to for counsel and advice. What is an elder according to the opening passage? Is it someone older than you or I, over the age of, say, fifty perhaps? Is it a specially-ordained person in the church? No. According to this verse, elders are those who are “seated.” That means they are resting; not struggling or striving. Notice they are also wearing crowns of GOLD on their HEADS. Gold in the Bible is a typology of “Divine Righteousness.” These seated (resting) individuals are conscious of their “Divine Righteousness in Christ, hence the crown on their “heads,” where consciousness resides. An elder is also someone who is “weaned.” “Weaned,” you say?” Yes, weaned, like a baby from its milk bottle. Anyone who thinks that righteousness is a result of holy living or right doing the Bible calls them “unskilled in the word of righteousnes.” Such a person, Paul says, is “a baby.” He or she is not weaned from the milk of the law. Righteousness is a gift, Church; not an action you perform. It is not connected to anything one thinks, says or does. 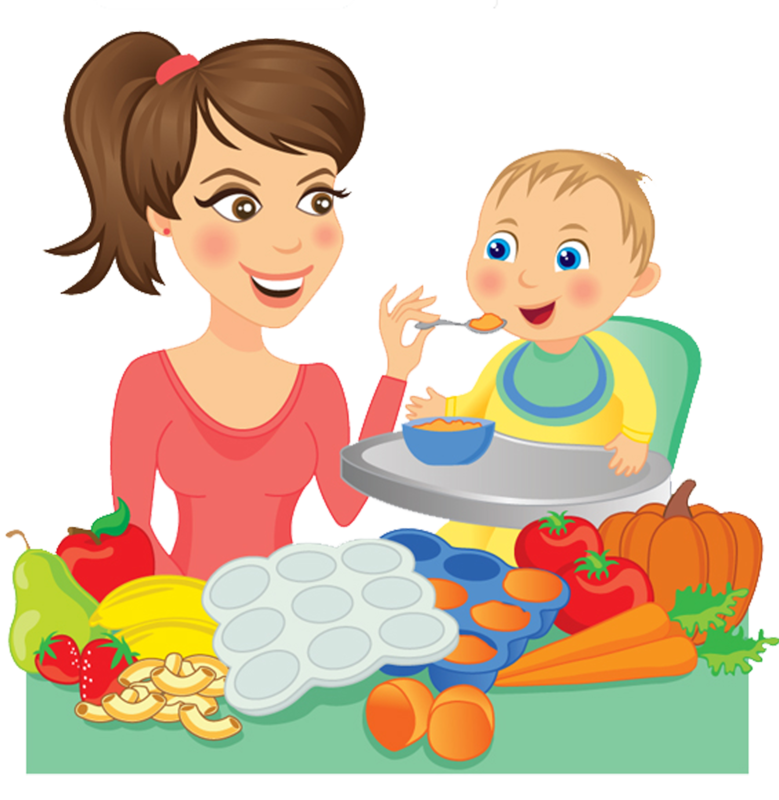 Babies cannot eat solid food. They can only ingest the milk of the word. The bread and wine that the Melchizedek priesthood brings is unpalatable to them because they not weaned from milk, i.e. the law. That is why so many come against the real gospel, GRACE. They have been fed a mixture of law and grace, which is actually more Law than grace. The real gospel looks like “license” to them. They can neither handle nor understand it. So they resist it and persecute those who teach it. The same thing happened to the Apostle Paul. 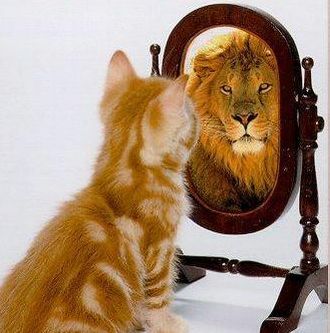 So, if you find yourself facing the same kind of persecution, don”t worry: You’re in good company! 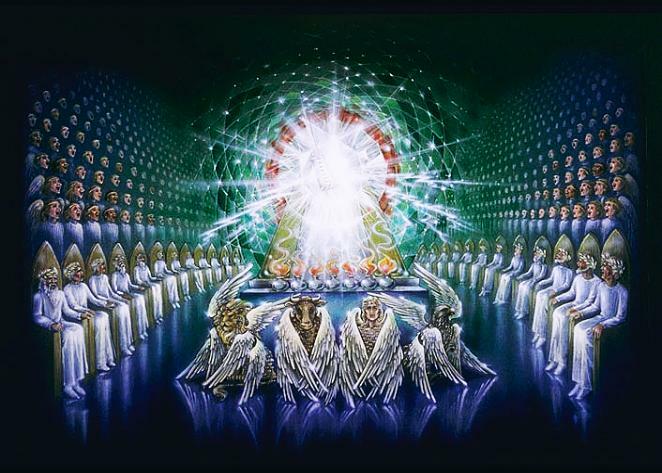 Before the throne of God, around which the elders were seated, is a “sea of glass, like crystal.” Why is it crystal and not liquid? Those who think that God still has something left to do in their lives are unsettled; adrift, so to speak, on a liquid sea. In any case, they are not “resting.” Paul brought up the “every-wind-of-doctrine” issue because he was describing Christians who are pointing fingers at each other in a battle of beliefs, in a “he said, she said” kinda way. It is this “wind” that ruffles the waters of the “sea” and causes the “storm.” The sea of those who engage in such arguing is liquid, undulating, changeable; but it is not crystal. These elders not only have gold crowns on their heads but they are clothed in white raiment. Their thinking is encircled with the golden crown of righteousness consciousness and they are clothed from head to toe in His purity as well. 24 Wings And Full Of Eyes. Elders are also resting in the secure knowledge of being well protected. 6 “….in the midst of the throne, and around the throne, were four living creatures full of eyes in front and in back. There are twenty-four elders. There are four living creatures with six wings each. That is a total of 24 wings, the same as the number of elders. Each creature was also full of eyes.” These four living beings represent the four gospels. They are the four “faces” of Jesus. Are there really four living being around the throne of God that look like this? No, of course not. John says that all of these things he saw were “signs,” not what he saw with his physical eyes. Otherwise, Jesus really would look like a lamb with seven horns and seven eyes. How silly would that be? Wings speak of “protection,” eyes speak of “discernment.” The number, 24, referring to the seated elders, is a representative number. 12, in Bible numerics, is the number of administration or indicative of a generation. 12 elders represent all the Old Testament saints, 12 represent New Testament saints. There are 24 total wings belonging to the 4 living creatures. These, as you saw, represent Jesus. They tell us that there are enough wings of protection for all the elders and eyes of discernment that sees everything. They are fully protected and can rely on Jesus to see everything around them clearly. No wonder they are resting! No wonder they are peacefully seated! No wonder they are not tossed to and fro! They know how protected, loved and cared for by Jesus Himself! Understanding the Bible becomes SO MUCH CLEARER when you understand that God’s work is FINISHED, particularly in regard to the book of Revelation. This is such a beautiful truth. Notice he doesn’t say, “Call for the elders and find one who is NOT sick.” Resting in the FINISHED work causes wellness in every area of your life. Elders know how to stay healthy by resting in the FINISHED work. Grace, through the Holy Spirit, is the best teacher. The Bible says that He leads us into ALL TRUTH. You see, those who are true Elders don’t feel the need to go around correcting everyone else because they understand that GRACE, through the Holy Spirit, does a FAR better job. They understand that we are transformed by beholding Jesus. They know that pointing others to Him and unveiling His beauty is what yields positive, long-lasting results, NOT pointing out faults and failings. But it also isn’t by pointing out sinfulness to sinners. It is by preaching the gospel to them and pointing them to Jesus. 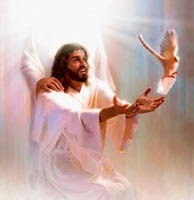 He is the One Who forgives all men liberally, without reservation. Most importantly, it is by FEEDING, NOT BEATING THE SHEEP, who are already IN the fold, that the necessary growth will eventually take place. Wow! Spiritual growth happens effortlessly just by feeding! Imagine that! The people will grow, becone mature and the dry leaves will drop. That’s the ONLY way real maturity happens: By feeding and feeding and feeding the flock. The Pulpit Is NOT For Correction. To be sure, there is an appropriate time and place for correction. Matters that require correcting need to be taken up in private, on an individual basis, and face to face with someone who loves and cares for your well-being. By that definition, the pulpit is NOT the place for correction. PERIOD. It is meant to be used for FEEDING the flock. 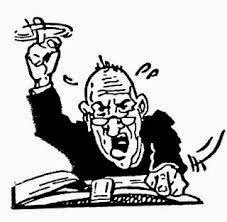 Preaching a message to an entire flock about some specific sin, behavior or lifestyle just to get at a few, but whacking the entire flock, is not only cruel and inappropriate, it is a total misuse of pastoral privilege. IT IS COWARDLY. Remember, “They,” (those outside of Christ) “will know us by our “love;” not our doctrine, discipline or holiness. How To Produce LASTING Holiness. 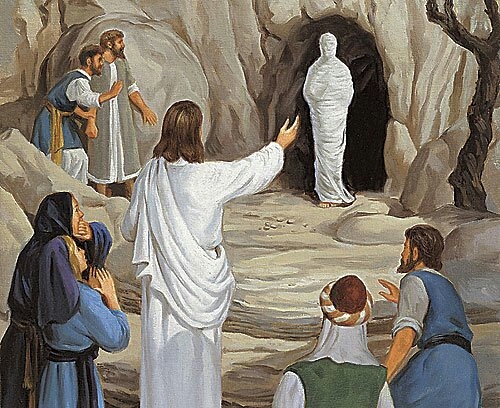 As always, we are transformed by beholding Jesus. But if all the flock hears from the pulpit are rules, regulations, what we should do or what we shouldn’t, they are hearing the Law. THIS IS BEATING THE SHEEP. In such an environment, the sheep have nothing on which to feed, the Holy Spirit has no raw material with which to transform God’s people and true, lasting holiness is not produced. The sheep are starving for the Bread of Life: Jesus. Jesus said to the Apostle Peter THREE times, “FEED MY SHEEP.” True Elders know how to feed as well as what to eat. They will vomit out milk. When The Veil Is Removed. When the veil, i.e. 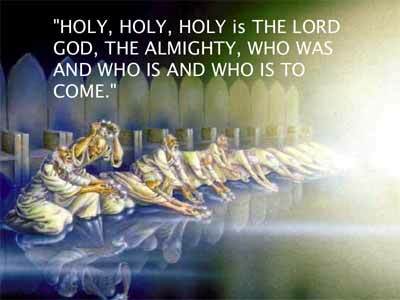 the law, is lifted off our lives, we step into the Holy of Holies. 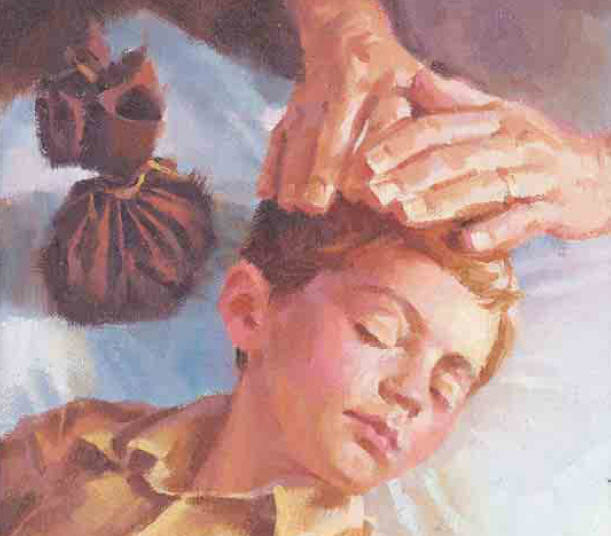 This principle is uniquely demonstrated in the story of Lazarus. It is when we see Jesus and behold Him as He truly is: PURE LOVE, that we are transformed into His, image from glory to glory. In beholding His glory and His beauty, all we will want to do is drop our pointing fingers and be quiet before Him. Finally we will come to understand our righteousness in Him. Then, and only then, will the winds of controversy (which is Church-wide) cease as all believers unite in the sole Object of our affection: JESUS. He will be lifted up and glorified. He will be adored and finally take His rightful place: IN THE MIDST OF THE GOLDEN CANDLESTICKS. …..and best of all?…..UNBELIEVERS WILL BE IRRESISTABLY ATTRACTED TO JESUS IN DROVES!!! When such an environment exists, the gospel will sweep over the entire world like so much holy fire! Nothing will be able to stop it. So, no matter what your chronological age, no matter what your gender, if you are seated, resting in the FINNISHED work, you are one of THE “TWENTY-FOUR’ ELDERS. ← You Know His Voice.